Mike Tyson is really making the media rounds lately, and one article about him that really struck my fancy was how he used hypnosis before fights. His manager hired a professional hypnotist to get him in the proper mindset to make him the champion he became. Tyson has just added himself to a long list of elite athletes (that includes the likes of Tiger Woods) who’ve used hypnosis to improve their performance. In the last 35 years of hypnosis treatment, I’ve helped many boxers and boxing instructors maximize their athletic potential via neuroplasticity. When I work with athletes, it’s all about emotional control. With testosterone and adrenaline pumping through every athlete, it’s important to not let those brain chemicals get in the way of your physical prowess. Want to improve your athletic performance? Call Dr. Gluck today at (212) 599-3195. 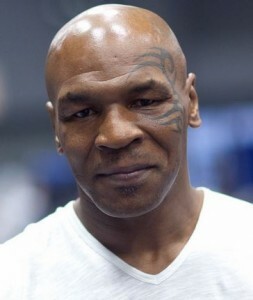 This entry was posted in sports hypnosis and tagged Mike Tyson, sports hypnosis by Dr. Errol Gluck. Bookmark the permalink.